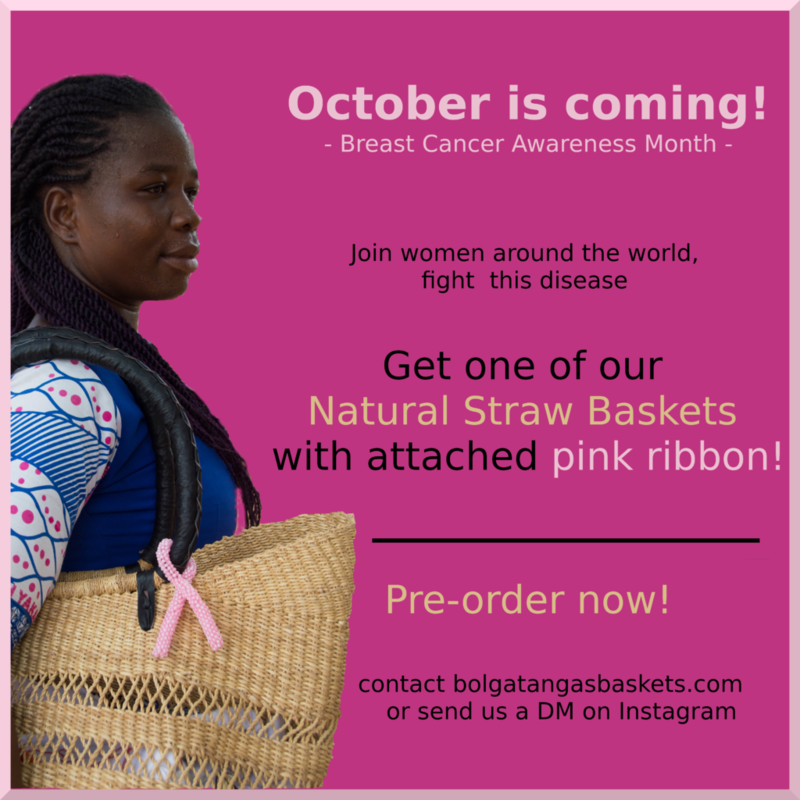 At Bolgatangabaskets.com we strive to promote the tradition of basket weaving by the Fra Fra communities in and around Bolgatanga in the Upper East Region of Ghana. Handmade products have gained popularity across the world in recent years. People are getting more aware of the social benefits of supporting small businesses, who take a personal approach to their production process. We have conducted a needs assessment among the weavers in our small basket weaving enterprise and come up with the following findings. There are several factors/issues that hinder the effective and efficient production of the baskets. Throughout the weaving process, there are opportunities for improvement. Both in terms of development of human capacity as well as basic Capital issues. We are optimistic that by identification and addressing these needs, we will be able to greatly improve the quality of the baskets as well as the working and living conditions of our weavers. At the moment, weaving is done on an individual order basis. Meaning, every time, there is an order, the cycle of going to the market to buy dye, which may or may not be readily available, seeking for quality straw for that particular basket is repeated. Several productive hours/days are lost to these repetitive and inefficient steps. In addition, the overall cost of a basket increases, as individual supplies are being purchased at retail prices. By getting a stock of Basket weaving materials, we will be able to cut down the cost per basket and redirect the saved funds to the weaving process. Medium/Large orders require several weavers to come together and work for a couple of days/weeks. The weaving villages are sparsely populated in a largely Savannah styled environment. Transportation towards the weaving venue sometimes takes hours, as the women have to walk long distances. By providing suitable means of transportation, we will be able to save valuable time. Simple bicycles and or motorcycles will fix this problem to a large extent.